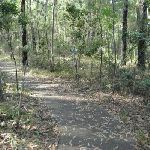 The Mambara Track is a short walk, accessible to everyone, and a great walk for gaining some knowledge about the local bush. 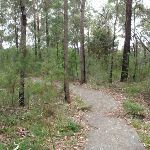 The walk follows a concrete footpath and has many signs with information about the surrounding bush. 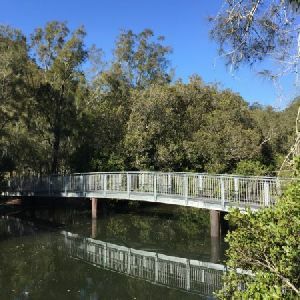 A great loop walk for the whole family and great introduction to the walking experiences in the area. 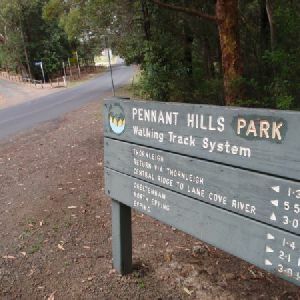 Pennant Hills Park is a large sporting complex located in the back of Pennant Hills and on the border of the Land Cove National Park. This large venue consists of four large ovals (3 with cricket pitches), 16 tennis courts, a hockey court and an archery range. If you would like to book a tennis court then contact David Cochrane (02) 9481 0970. There are also BBQ and picnic facilities provided at the park. 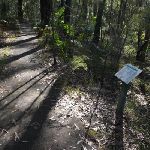 (0km) Pennant Hills Park entry → Mambara loopback int. Car parking area for more than 10 cars is located next to the oval. 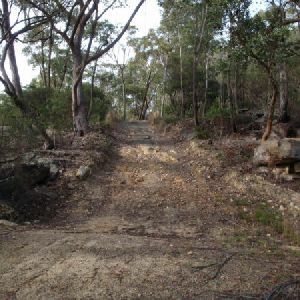 There is a ramp at the far end of the car park that leads on a concrete path back to the start of the walk. There is also on street parking. 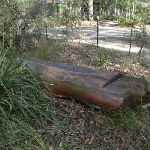 A timber log seat, 43cm high, 30cm deep and 1.5m wide. 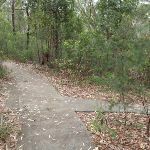 Seat is located 2m from the concrete path, partially obscured by plants. (on your right), and ‘Wildlife Protection Area’, ‘Mambara Track’ and ‘Mambara Access Track’ signs (on your left). 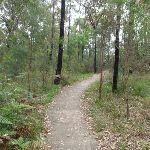 This walk continues for 40m along the path around the sharp left bend  then continues for another 20m to come to a 3-way intersection, marked with an arrow post (on your left). (0.07km) Mambara loopback int. → Mambara turning area int. 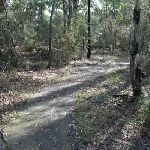 Turn right: From the intersection, this walk follows the arrow post gently downhill along the concrete path, keeping the road (a short distance) to your right. 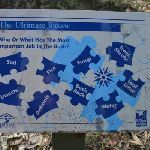 After 5m this walk passes ‘The Ultimate Jigsaw’ sign (on your left) then continues gently uphill for about 140m over a series of rough concrete sections to come to a 3-way intersection with a dirt track (on the right). Continue straight: From the intersection, this walk follows the concrete path gently up over a rise (keeping the road to your right). After about 15m this walk leads gently downhill and soon bends left. 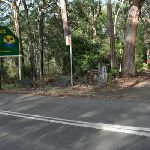 This walk continues along the path for about 70m past a ‘Bush Recycling’ sign (on the left) to come to a 4-way intersection (with two dirt tracks on the right). 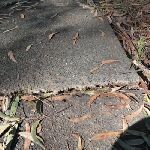 A 4cm trip hazard from a raised concrete slab. on the path. This walk then continues for about 35m along the path which soon bends right, then comes to a sharp left hand bend. Half way through the bend there is a 3-way intersection with a dirt track (on the right). (0.36km) Mambara turning area int. → Mambara loopback int. 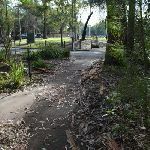 Turn left: From the intersection, this walk leads downhill along the concrete path, immediately passing the turning rest bay (on the left) and a ‘You scratch my back’ sign (on the right). 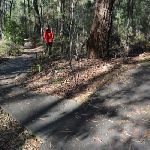 This walk then continues gently downhill through the open forest for another 35m to a distinct 3-way intersection with a short concrete path (on the right). Continue straight: From the intersection, this walk heads gently uphill (keeping the main valley to your right), following the concrete path as it bends to the left. 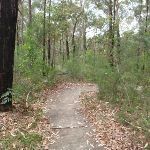 This walk continues gently uphill for about 230m, passing the ‘Sunshine On My Shoulder’, ‘Up In The Trees’ and ‘Bush Webs – Pieces Of A Puzzle’ signs (all on the right) as it meanders through the open forest to come to a sharp left bend (ignoring the intersection with a dirt track on the right). After another 20m this walk comes to a 3-way intersection, marked with an arrow post. Trip Hazard A 4cm trip hazard from a raised concrete slab. Found about 310m into the walk. This whole walk, 720m is flat with no steps. 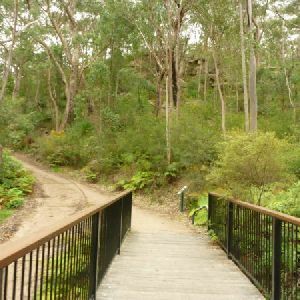 This whole walk, 720m follows a smooth and hardened path. This whole walk, 720m is clearly signposted. This whole walk, 720m is close to useful facilities (such as fenced cliffs and seats). 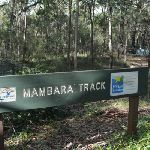 A list of walks that share part of the track with the Mambara Track walk. 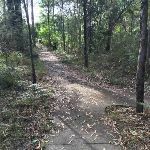 This walk explores the bush between Epping and Pennant Hills stations. 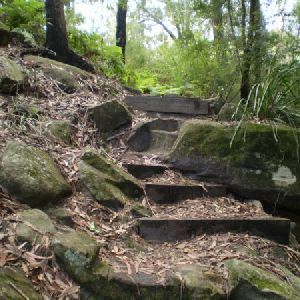 Sections of the walk pass through the Lane Cove National Park, although not down to the Lane Cove River. 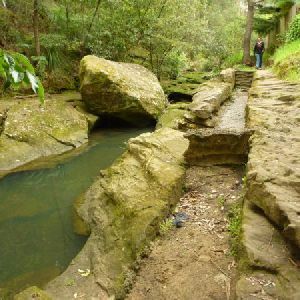 The walk explores a section of Devlins and Byles Creeks before passing near Pennant Hills park. 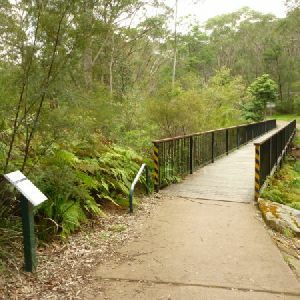 The walk then takes the road for a short distance to finish at Pennant Hills Station. 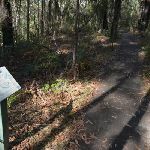 Setting out from Pennant Hills train station, this walk loops around Pennant Hills Park, exploring the surrounding bush and visiting Whale rock on the way. 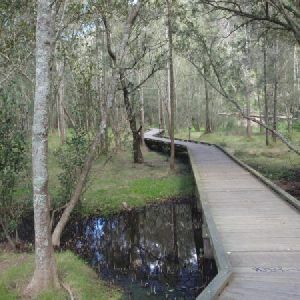 The walk turns back towards the park after passing the Lane Cove River. 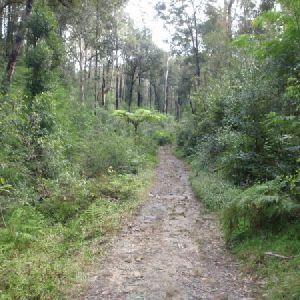 The walk mostly follows management trails. 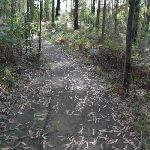 A list of walks that start near the Mambara Track walk. 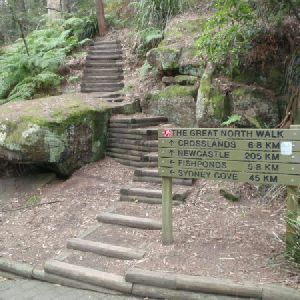 This walk starts from Belinda Cres and provides a lovely walk to Whale Rock. 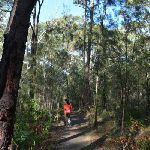 The walk first passes some exotic plants and then into more native bushland with some interesting canopies and dense growth. 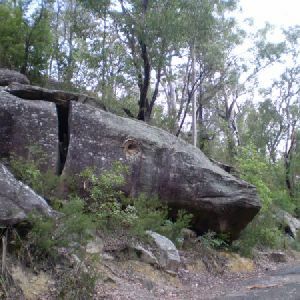 Whale Rock, one of the features of this walk, is quite a sight and is well worth exploring. 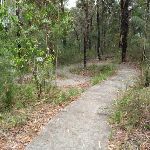 It is possible to walk up the service trail to Boundary Rd from Whale Rock to make a one way walk. 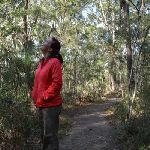 http://new.wildwalks.com/wildwalks_custom/includes/walk_fire_danger.php?walkid=nsw-lcnp-mt Each park may have its own fire ban, this rating is only valid for today and is based on information from the RFS Please check the RFS Website for more information.